Rt. Hon. O. S. Arthur: To move the Second Reading of the Trade, Economic and Technical Agreement (Agreement between the Caribbean Community and the Government of the Republic of Colombia) Bill, 2005. Rt. Hon. O. S. Arthur: To move the Second Reading of the Free Trade Area (Agreement establishing the Free Trade Area between the Caribbean Community and the Dominican Republic) Bill, 2005. Rt. Hon. O. S. Arthur: To move the Second Reading of the Trade and Economic Co-operation (Agreement between the Caribbean Community (CARICOM) and the Republic of Cuba) Bill, 2005. Rt. Hon. O. S. Arthur: To move the Second Reading of the Free Trade Area (Agreement establishing the Free Trade Area between the Caribbean Comunity and the Government of the Republic of Costa Rica) Bill, 2005. Hon. 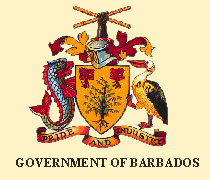 A. P. Wood: To move the passing of a Resolution to approve the guarantee by the Crown of the principal and interest necessary for the redemption of the bond issue to the Barbados Water Authority in the sum of $150 million. Hon. R. R. Farley: To move the First Reading of the Arts and Sport Promotion Fund (Amendment) Bill, 2005. Notice of this Bill was given on 17th November, 2005. The Bill was read a first time on 22nd November, 2005. The Bill first appeared in the Official Gazette on 28th November, 2005.